The 2019 Us Masters tees off on Thursday 11th April at Augusta and plenty of bookmakers are offering extra each-way places on the tournament. This difference means you can make a profit if your selection finishes 6th, as the bookie will pay out on the first 6 places plus your exchange lay bet will also win as your selection was outside the first 5. Even better some bookmaker offers will give you 2 or even more extra places (some going upto 10, yes TEN places!) thereby increasing your chances of hitting a ‘win-win’ scenario on both sides of the matched bet. We have teamed up our matched betting partners, OddsMonkey, to provide a very special Exclusive offer. 10 days full unlimited Premium level access to their site for just £1.00. Yes One Quid! A perfect opportunity for you to trial all of their fantastic range of matched betting tools at a bargain price! This is an exclusive offer available to all Bet72 visitors. All you need to do, is click the banner above, and enter the promo code ‘BET72OM’ when signing up. Now the words no & brainer are often banded about but in this case it really is, I mean it is just a quid to get access to all of this! For the last 4 years OddsMonkey have provided us with an unbranded version of their industry leading Oddsmatcher software which has formed the basis of our own Oddsmatcher Pro product used by our members. 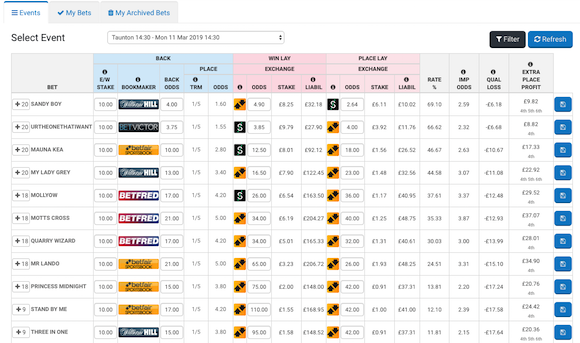 However recently it has become evident to me that Bet72 has fallen a little behind in terms of the key tools and additional value added services we can provide, both from a resource and logistical level. Therefore I have taken the decision pass some of the core services on and to work directly with OddsMonkey as a key strategic partner who can provide access to the very best online software, tools & resources for matched betting & advantage play. As well as the Oddmatcher software, OddsMonkey hosts a fully uptodate, lively and vibrant forum platform detailing all the latest offers, direct discussion and advice on how to profit from them. Also an excellent Daily Offers Calendar, Advanced Calculators and Spreadsheets as well as a number of unique pieces of software, which they have developed themselves to provide even more profit making opportunities. These include Dutching Search, Racing Matcher, Each Way Matcher, Tennis Matcher, Extra Place Matcher as well as advanced Acca Finder & Builder tools. I have been using these software products for a number of weeks now and some of these will blow you away when you see them, as they will immediately provide you with a number of new money making options and I am looking forward to helping everyone get the most from these tools. Going forward I will be working directly with OddsMonkey on a number of their up and coming projects, primarily concerning education, training and how to get the best from the services they provide. 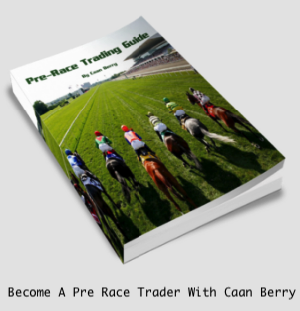 As well as bringing my many years of experience of the industry to help develop some new avenues of opportunity too, particularly around using free bets and offers to trade with. I am planning some interactive webinar Q&A sessions for next week, as well as additional video tutorials on how to get the very best from the service and tools so everyone can ask anything and everything about the new setup and also make the most of their trial period on the site. And fear not, I am not going anywhere, Bet72 will remain as it is and is in fact set to become even bigger and better as it is being revamped into a complete profit making portal news site over the next week or so. Anyone joining the OddMonkey service will still have access to me via our own private Oddsmatcher Pro Facebook group, for free as before, in fact I have some big plans for it, starting with a much needed boost in terms of content and more profit making ideas that I have been working on personally in the background. I hope you will see this move as positively as I do. I genuinely feel this enables all Bet72 users to get access to the very best matched betting service out there but also have the backup and direct support from me whenever it is needed. I will also continue my account relationship with all the leading bookmakers and exchanges and we will have a number of exclusive offers that we will be providing to members over the coming months as well as a number of other exciting innovations too. Freeing up the day to day matched betting side of the business will allow me to concentrate on a number of new projects I have been looking to get off the ground which again will provide new opportunities for all members. As always I appreciate everyone’s support of Bet72 over the years and am really looking forward to this exciting new chapter ahead.